Temporal dysplasia is the condition in which the cell growth is not normal and also not in order at temporal site in brain. Basically the cells of temporal region of brain are not growing normally. 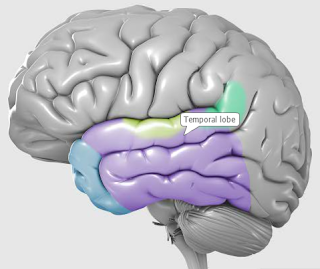 The word temporal other than a part of brain (temporal lobe) also means “time related”. Temporal dysplasia is lead by a syndrome called cortical dysplasia. In which the cells which are not growing properly are the neurons. In this syndrome the neurons, which have to reach to the specific site of brain, are not reaching to that site and as a result the brain is not growing and remain underdeveloped. The brain having cortical syndrome can’t function properly and the systems are not organized properly. The neurons sometimes show sudden bombardment on the brain and these abnormal bombardment show seizures and also suffer from verbal problems, social and motor development problems. All these problems occur when neurons which do not reach to the specific site of brain, arrange themselves abnormally. The progress in child having cortical dysplasia is difficult to check because it is not a homogenous process. The growth and brain development in child with this syndrome is very slow and the child may face some educational issues and need extra attention. The treatment of this syndrome is life long and continue till end of life. The treatment include the medications for seizures, as seizures may prove fatal to patient that’s why the prophylactic treatment of seizures is really important. Every times the seizures occur, it does more damage to brain and can affect the already present functioning of brain. Cortical syndrome can only be treated with the medications of seizures but if medications are not working then a surgery can be performed in which that specific part of brain is removed. Is Temporal Dysplasia Real or Not? Temporal dysplasia is 1st time seen in TVs serial named stitchers. In the series of stitchers the shown temporal dysplasia was not real even the closest resembling condition don’t show same symptoms. The heroine “Kristen” suffers from temporal dysplasia in these series and she can’t distinguish the time passing without the help of mathematical calculations. She can’t judge the current time she is just passing through in the day and she even can’t remember the events about to happen and sometimes she remember them before the time of events.